HR: Bowling Green: Moises Gomez (19th, 0 on base in third inning). Bowling Green, Ky.-Bowling Green starting pitcher Alex Valverde and two relievers combined on a seven-hit shutout as the Hot Rods defeated the Dayton Dragons 4-0 on Monday afternoon in the final game of the season. The Dragons finished the year with an overall record of 58-80. 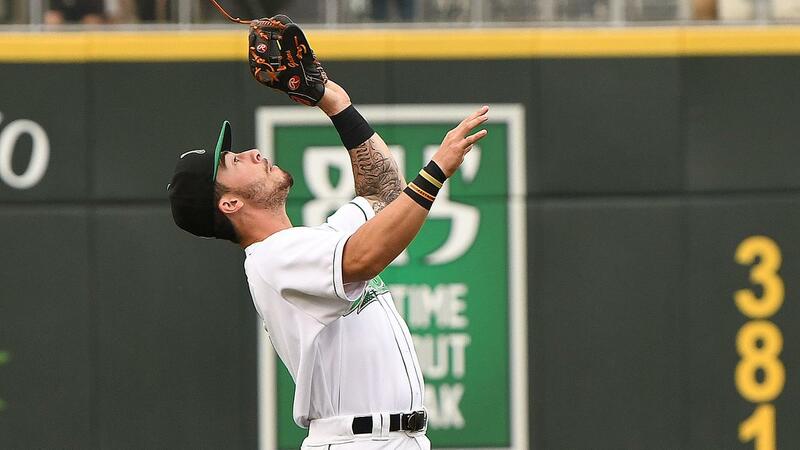 A comprehensive review of the season will appear at DaytonDragons.com later this week. Bowling Green scored three runs in the top of the first inning to take an early lead. Alexander Alvarez's two-out, two-run double was the big hit in the inning. In the third, Moises Gomez connected on a lead-off home run, his 19th homer of the year, to make it 4-0 and close out the scoring. Meanwhile, the Dragons struggled to mount an offensive attack against Valverde. They advanced only one runner past second base against the Hot Rods starter, who walked one and struck out eight while allowing five hits. Dragons starting pitcher Andy Cox (1-2) took the loss. In his first professional career start after 64 relief appearances, Cox worked two innings and allowed three runs on four hits with no walks and two strikeouts. Miguel Aguilar replaced Cox to start the third inning and worked two frames, allowing one run on three hits with no walks and a strikeout. Aneurys Zabala entered the game to start the fifth and after working a perfect inning and retiring the first batter in the sixth, Zabala left the game after a visit by the trainer. Patrick McGuff was called in from the bullpen and tossed an inning and two-thirds, allowing two hits and no runs with a walk and a strikeout. In the bottom of the eighth, the Dragons brought infielder Alejo Lopez in to pitch. It was just the second time this season that a position player had pitched for the Dragons, and the first career mound appearance for Lopez. In his inning of work, Lopez walked the lead-off hitter but retired the next three to complete a scoreless frame. The Dragons collected seven hits in the game. Mark Kolozsvary went 2 for 4. Jonathan India had a double. Up Next: The Dragons will open their 20th season in the Midwest League on Thursday, April 4, 2019 at Fifth Third Field against Bowling Green.